Review the label and product information for chemical ingredients, hazards, directions, safe work practices, and precautions. 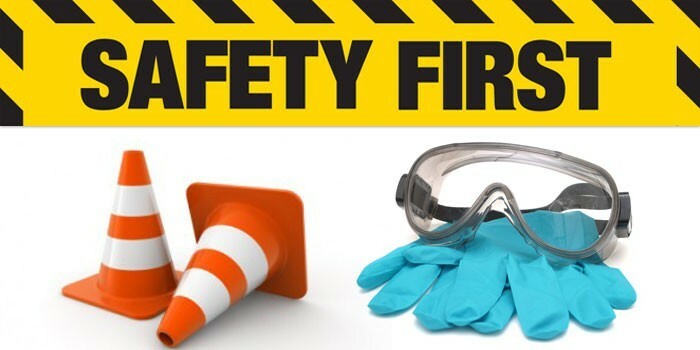 Ensure health and safety training is completed and safe work practices are followed to prevent exposure before, during, and after an installation. During a spray foam application, only workers wearing appropriate personal protective equipment (PPE) should be present. Other trade workers and building/home occupants should vacate the premises. If anyone experiences breathing problems or other adverse health effects during or after an SPF application, seek immediate medical attention. With the use of spray polyurethane foam (SPF) expected to increase over the coming decades, trade associations like the Spray Polyurethane Foam Alliance (SPFA) and the Center for the Polyurethanes Industry (CPI) of the American Chemistry Council (ACC) are working on safety, training, and product stewardship programs intended to enhance professional SPF contractors’ understanding of the safe application and handling practices of spray foam. These important initiatives will also reach beyond professionals to homeowners and those in the building and construction community. Find out more about SPFA’s Professional Certification Program (PCP). Find out more about SPF product stewardship from CPI. WHAT ARE THE BUILDING CODES FOR SPRAY FOAM INSULATION? Thanks for sharing the post with us. Forklift Operator Training course is required for the proper training. Hello! Someone in my Facebook group shared this website with us, so I came to give it a look. I’m enjoying the information.